Peniche Adventures Surf Hostel - Peniche, Leiria Guests overall rating: ★★★★★ 5 based on 5 reviews. We started the company ten years ago with one dive center in Peniche. Currently, we have four dive centers, a nautical school and a Surf School and Camp. Our philosophy is to provide high quality services and products to our customers. The city of Peniche is located in an isthmus, thus having a great variety of surf spots oriented to all quadrants provides the most consistent Surf Experience in Portugal. To provide the best possible experience we have Rip Curl wetsuits of all sizes and genders to make sure you are comfortable in the water. Also, we have a wide selection of the best surfboards to please either the novice or the experienced surfer. The best Staff is at your service. Our young, experienced and competent Team will make sure you get the most out of your surfing experience. Since you want to fully enjoy your surfing and get the most from your holiday, we will take care of all the logistics. We offer a complete range of packages with Surfing experiences and courses, Lodging, transfers, equipment rentals, food, whatever your needs are so you can have all the fun. Transfers from your accommodation to our school and the surf spots of Peniche are provided daily for the surf lessons so that your only concern is enjoying your holidays to the fullest. The Surf Adventures Day Packs are tailored for those staying in Peniche, or nearby, for long periods, and for those returning often. The day packs consist of 1 day all-included training packages with two practical surf lessons, where you can improve all surfing techniques and ocean skills. These daily Packs are structured for surfers of all levels who are willing to improve. It is the ideal learning format for each participant to manage the improvement of their surfing at their own pace. Light meal between surf lessons. Transfers from school facilities to the surf spots. Level ascertainment for each participant. Adaptation to the aquatic environment. 2 lessons (approximately 2 hours each), including theoretical and practical contents, in classroom, beach and surf environments. The Surf Adventures Day Pack surfing lessons are consistent with all contents of Haliotis Surf Adventures’ courses. Day pack lessons are adjusted to each given moment of individual student surfing progression. Duration: 5 full days, including 10 practice sessions of approximately 2 hours each. Course completion certificate is assigned. Taking the Surf Beginners Course is ideal for those of you who are staying in Peniche or nearby for at least 5 full days. It is a great way to learn ocean skills and to initiate contact with the amazing sport of surfing. Participants will learn about waves, surfing equipment, surf safety rules and procedures. The beginner surfers will learn the techniques for making their first surfing maneuvers. Enter the world of surfing with all that is necessary to have the best of all experiences! Learning the basic safety rules to follow when entering the sea for surfing, accordingly to surf conditions and equipment to use. Learning the proper use of equipment. Catching waves by paddling. Learning the techniques for standing up on the surfboard, riding the wave straight to the beach, and changing directions. Taking the Surf Intermediate Course is ideal for those of you who are commited to raising the level of your basic surfing skills, and are staying in Peniche, or nearby, for at least 5 full days. It is a great way to learn new ocean skills and deepen your contact with the world of surfing. Participants will learn more about the origin of the waves we surf, about surfing equipment, surf safety rules and procedures. The intermediate level surfers will learn the techniques for making their first surfing maneuvers on a peeling wave. Enjoy the world of surfing with all that is necessary to have the best of all experiences! Deepening the knowledge of safety rules to follow when entering the sea for surfing. Learning to recognize different types of surf conditions and the adequacy of surf equipment to each surfer and particular type of wave. Introduction to ethics in surfing lineups. Take-off and bottom-turn techniques. Trimming. Introduction to advanced maneuvers. 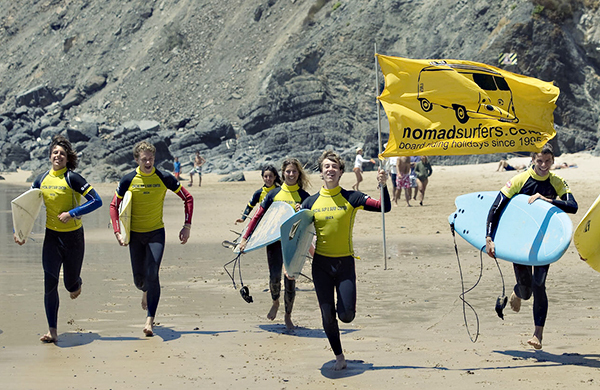 Having achieved the goals defined in the Surf Beginner course. Taking the Surf Advanced Course is ideal for those of you who are commited to raising the level of your surfing skills, and are staying in Peniche, or nearby, for at least 5 full days. It is a great way to step-up to performing a good repertoire of maneuvers in any type of waves, in every surf spot. The advanced level surfers will learn the techniques for mastering all maneuvers and transitions between maneuvers. Enjoy the world of surfing with all that is necessary to have the best of all experiences! Learning the techniques for changing directions using the rails (edges) of the board. Introduction to the techniques of surfing’s essential maneuvers: cutbacks, floating reentries, carving reentries. Learning to choose the right maneuver to be performed on each particular section of a breaking wave, and sequencing maneuvers along a wave: “reading” waves. Defining goals for future individual progression. Having achieved the goals defined in the Surf Intermediate course. 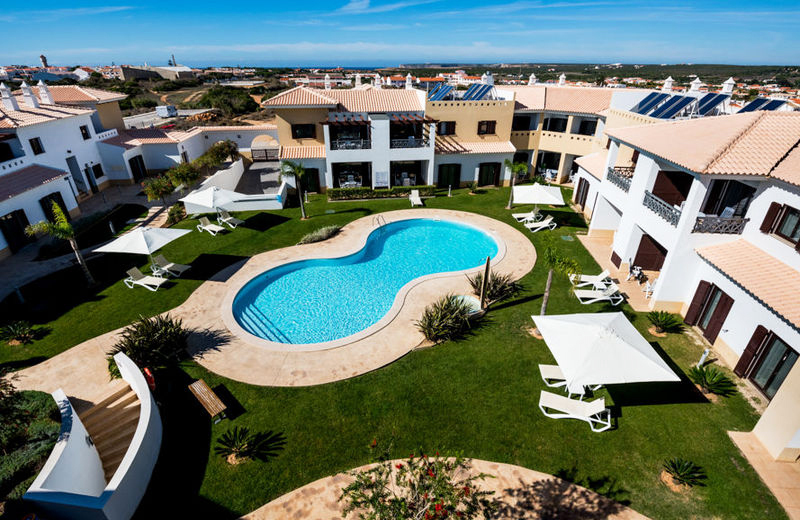 Our self-catering surf hostel is located in Peniche very close to Bocaxica beach and Molhe Leste. Peniche is located in the Atlantic Coast of Portugal, approx. 90km north of Lisbon and 250km south of Porto. Until the Middle Ages Peniche has been an island, today it’s a Peninsula. This offers perfect conditions for surfing of all levels as Peniche is surrounded by the ocean and provides a lot of different surf spots. The most famous wave is Supertubos, just 5 min. by foot from our facilities. Here, the “Rip Curl Pro”, an event of the World Surfing League takes place each year. In Peniche there are many long beautiful sandy beaches providing Europe’s best surfing possibilities. You can also just relax in the sun at the beach or go for a walk along the cliff line where you can find some of the best places to observe migratory birds. As places of interest there’s the fortress, the Praça-Forte, the cave Gruta da Furninha and the Cabo Carvoeiro with its lighthouse from where you have a great view of the sunset. In Peniche you can find everything necessary for the daily life: restaurants, cafés, supermarkets, bakeries, pharmacies, banks, surf shops, etc. If you’re looking for bars and parties you’ll find some nice places around Baleal, mostly in summer. Peniche is also known for its fishing so you can try almost all kind of variation of fish in some good restaurants around. The wine route along the west coast offers another possibility to spend your free time around Peniche. Only 89 Km distant from Lisbon Airport, Peniche presents itself as the most accessible world class surfing and scuba diving area in Portugal. Whether you’re driving from north or south, take exit 14 out of highway A8 and merge into the IP6 road to Peniche. If you will book surf or dive lessons at our surf school, you will get a 20% discount for the hostel. 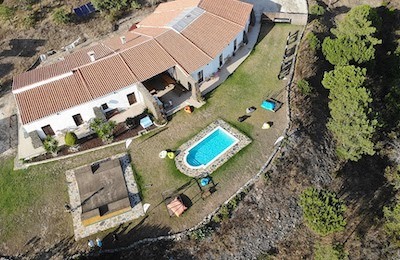 55 € 1 full day, including theory and 2 practical surfing lessons of approximately 2 hours each. "Went here with a friend of mine. I have my padi and he did a try dive. Both for me and for him an excellent dive. We went by boat to Berlengas. The boat trip is fierce so you should not be seasick fast. But once arrived on the island the sea is calm. Both of us did 2 dives. I got to see many caves and cliff on the underwater. In advance we were well informed. Try drive was explained very extensively, and even a short hassle was taken to really turn you on to go for your paddle and learn everything. Boat, stuff, lunch and 2 dives. Very Friendly! Such a luxury. Afterwards hot showers are included. Totally great! Recommend!" "Good dive center ... professional and experienced people !!! Good facilities and the two dives we did at Berlenga were great !!!! 100% recommendable !!!! It delights to go diving with professional people !!!!!" "Thanks for an awesome week, I really enjoyed my time in Peniche. Accommodation and the area were brilliant but it was you guys that made it a special time. Defo will be back for the summer!"" "Friendly atmosphere, likable team, very competent instructor. Learning the basics was not too difficult thanks to precise, easy to follow instructions. Material (board, wetsuits) in good condition, changing room with warm shower and towels. Learned a lot not only about surfing but as well about what other treasures the ocean hides from us." 5 day surf training, from white water to green waves. "We came as beginners, only with experience from white water / foam. The staff at the surf school were very friendly and the trainers very skilled and good at learning. After the 5 days we were able to surf green waves and place us right in the water relative to waves, power and other surfers. 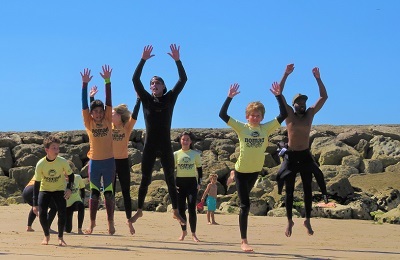 The staff came and picked us up at our hotel every day and also stood to drive us back again after today's surf and a needed bath at the surf school's facilities."